We grew up having dinners where we would all want the chicken breast bone to make a wish. 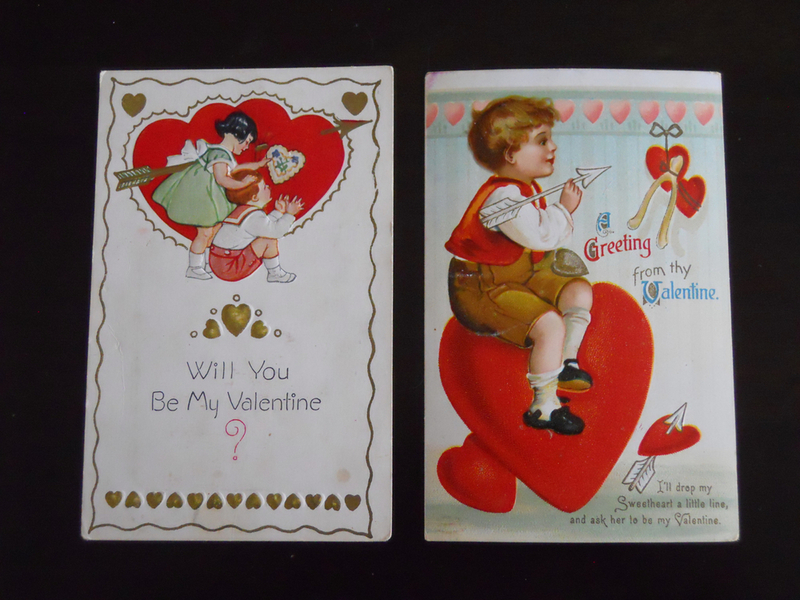 Not sure where the tradition started, and not sure it continues today but in these charming, sunny vintage Valentine post cards, the wish bone is tied to two hearts as part of the Valentine greeting. Doesn't it look like the little boy stepped out of the Valentine on the left to toss the arrow at the hearts with the wish bone tied to it on the right? So, will you be mine?